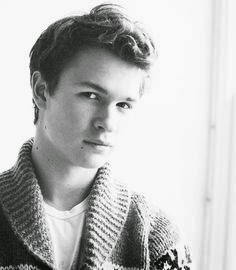 The Fault in Our Stars Ansel Elgort has just signed on to star as Van Cliburn; the titular film role based on Howard Reich's Van Cliburn. 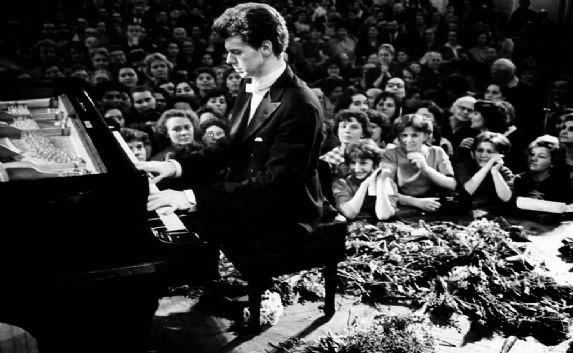 It's likely most of Elgort's young fans will not have heard of Van Cliburn, the American piano prodigy who at age 23 came out of nowhere to win the Tchaikovsky International Piano Competition in Moscow in 1958. It was a huge deal at the time; Russia and the US were in the midst of the cold war, the USSR matched our nuclear arms power and had just completed the successful launch of Sputnik. It was the tensest of times and Nikita Khrushchev was seen as using the competition to flaunt Soviet superiority. 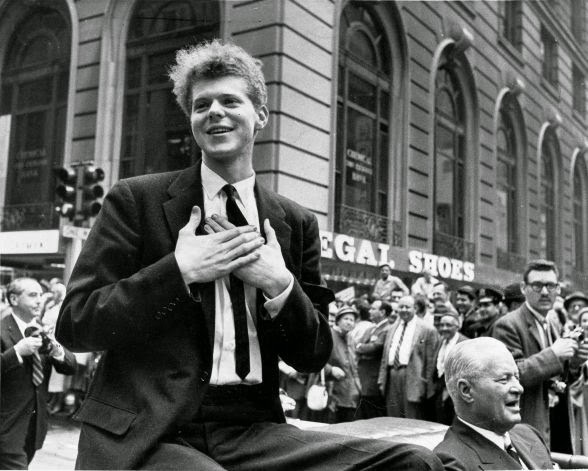 But a funny thing happened on the way to rubbing it in America's face; Van Cliburn not only won the competition with his technical virtuosity, he won the Russian hearts and minds as well. A symbol of American triumph, the pianist was given a ticker tape parade in Manhattan, thousands of people lined the streets! It was Van Cliburn's mother by the way - Rildia Bee O'Bryan Cliburn - who taught Van Cliburn to play; she started when he was three, by the time the prodigy went to Juilliard he was already an accomplished concert pianist. 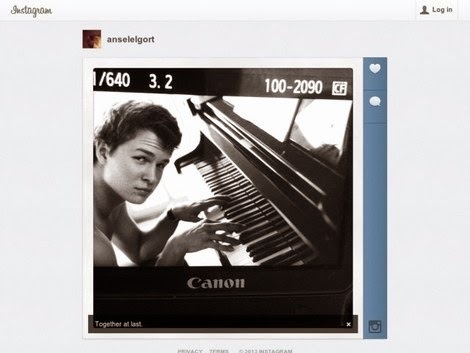 Elgort, lean and lanky like the 6.4 inch Cliburn, also plays piano, and has hands that will at least look like he's playing the classics perfectly. Here's a couple of Van Cliburn clips from youtube; the first one gives you a real feel for the frenzy the young pianist created. Filmed in 1962, that's Russian premier Nikita Kruschev clapping wildly as the prodigy prepares to play Chopin's Fantasie in F Minor (Opus49) in 1962. The 14 minute piece is followed by a shorter video of Van Cliburn playing Tchaikovsky at what I believe is the same concert. 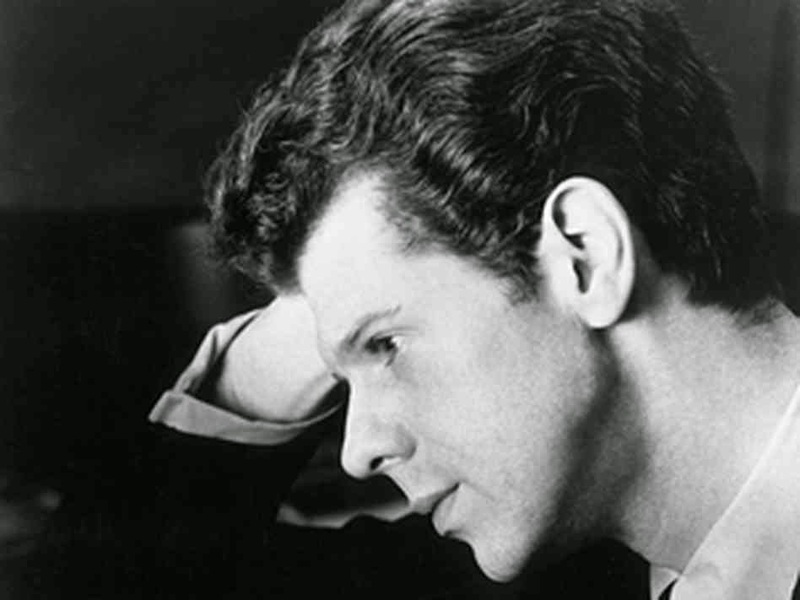 Van Cliburn should be a challenging and exciting role for the young actor, a great history lesson wrapped up in incredible music and drama. The film will be scripted by Andrew Stern who wrote 2012's intriguing-looking Disconnect starring Jason Bateman, Hope Davis and Alexander Skarsgård.